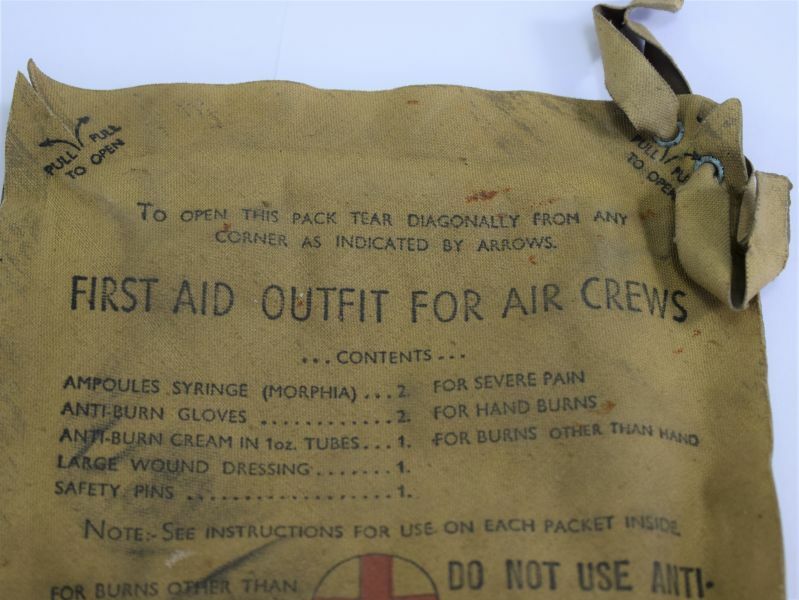 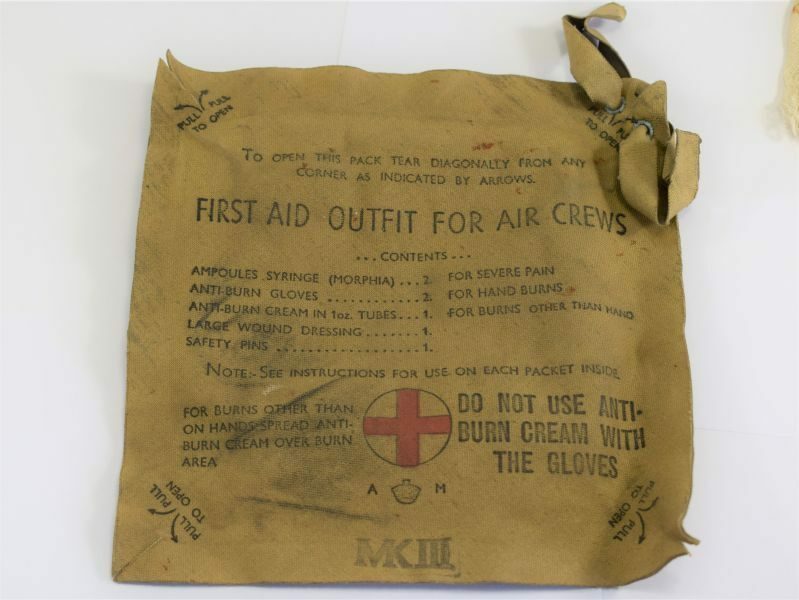 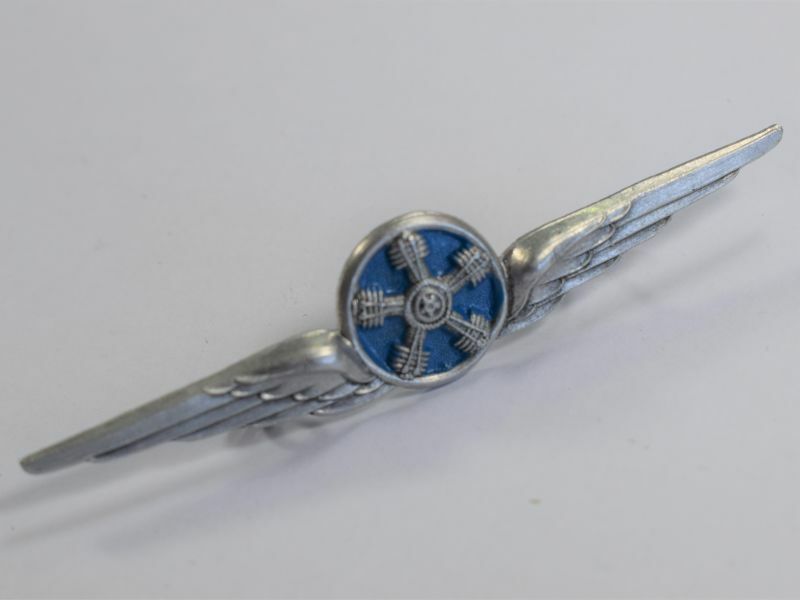 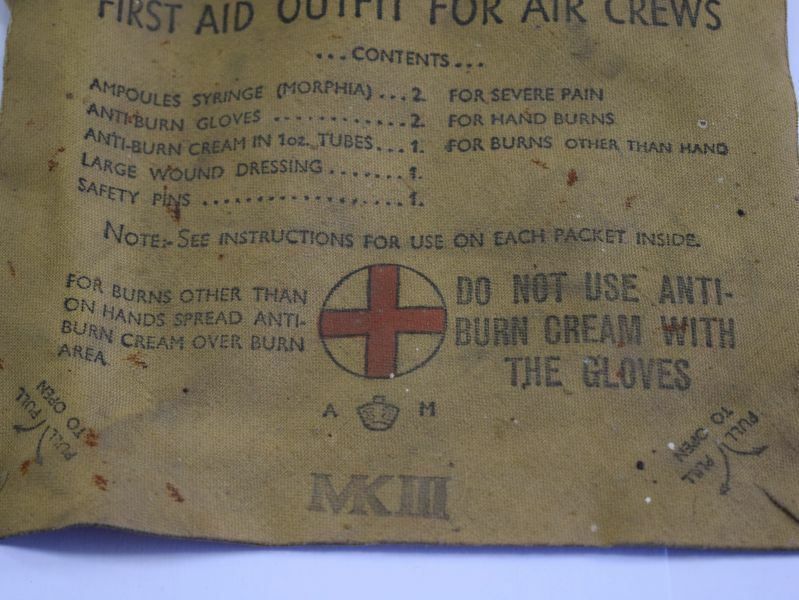 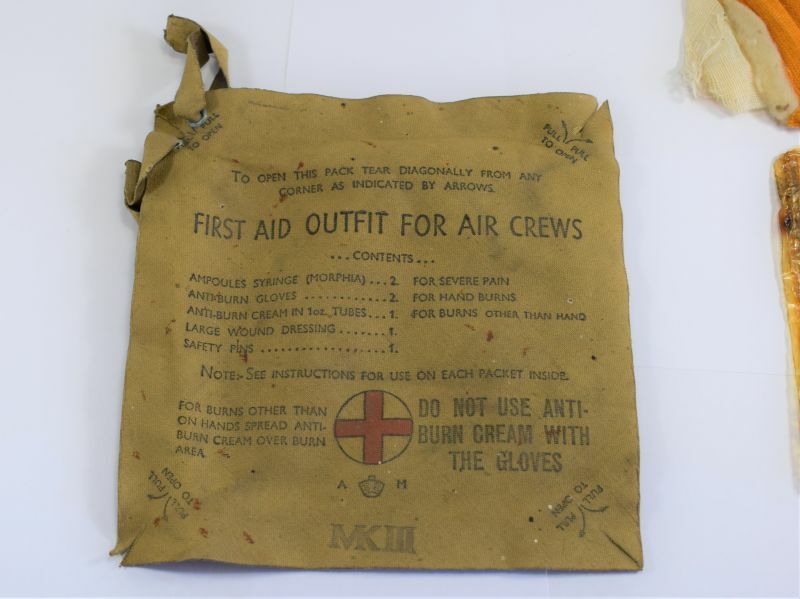 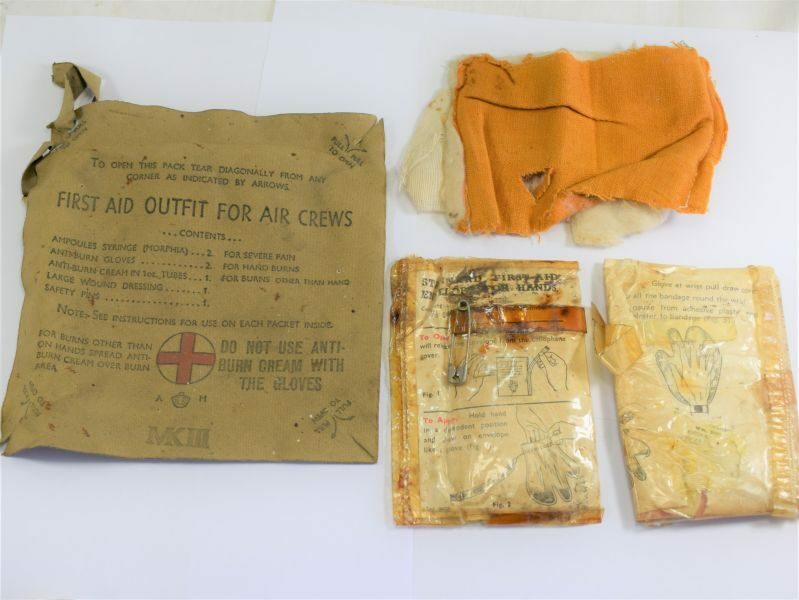 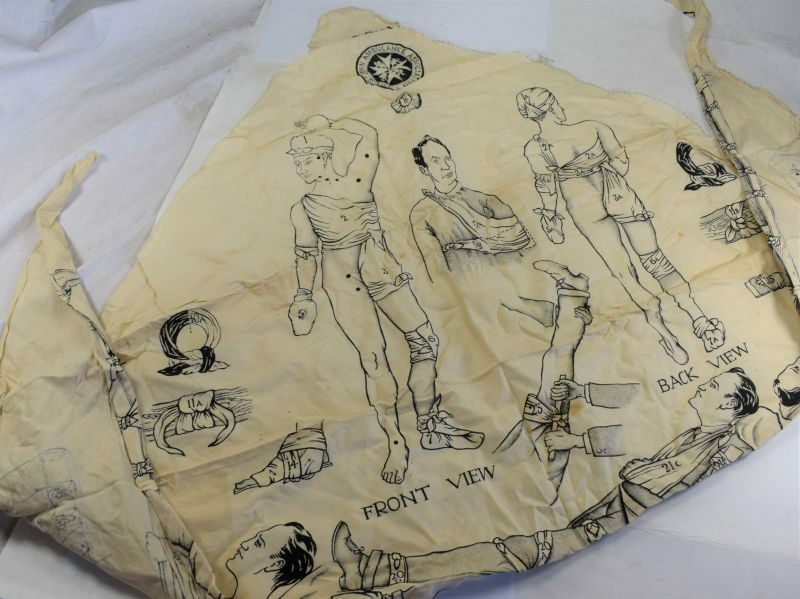 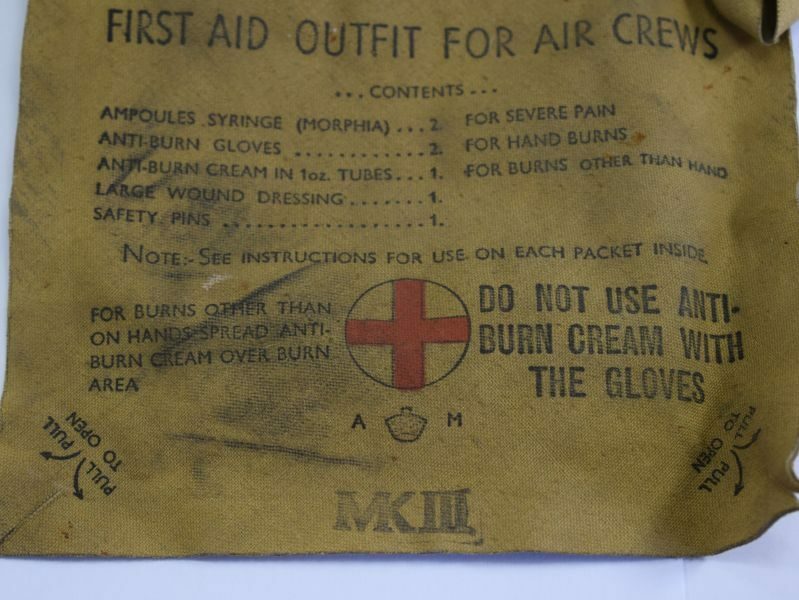 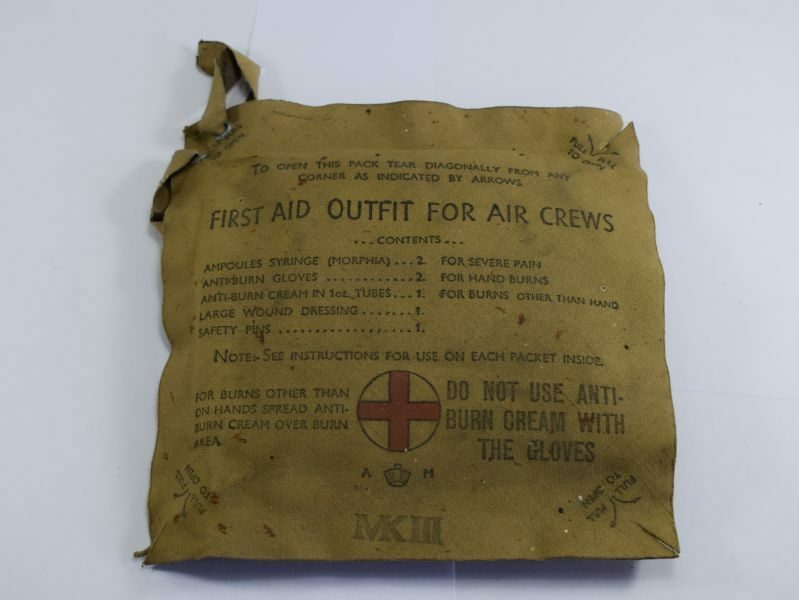 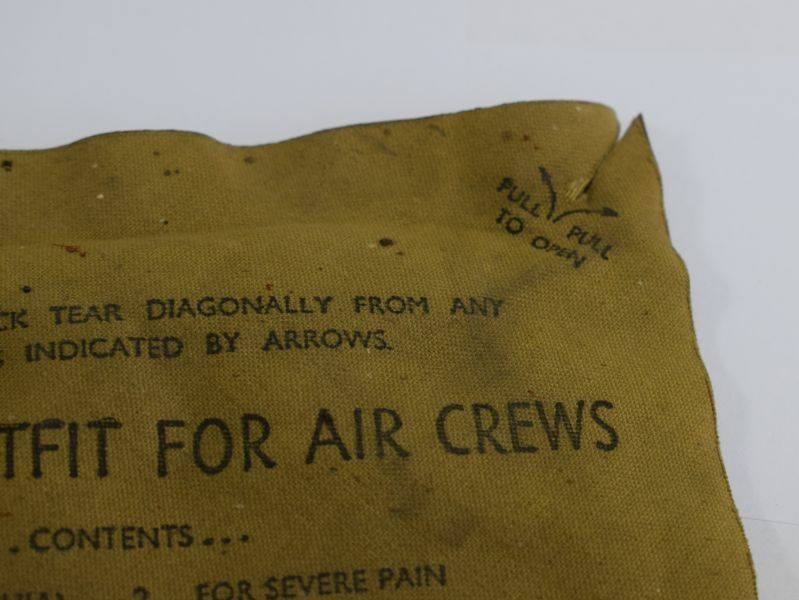 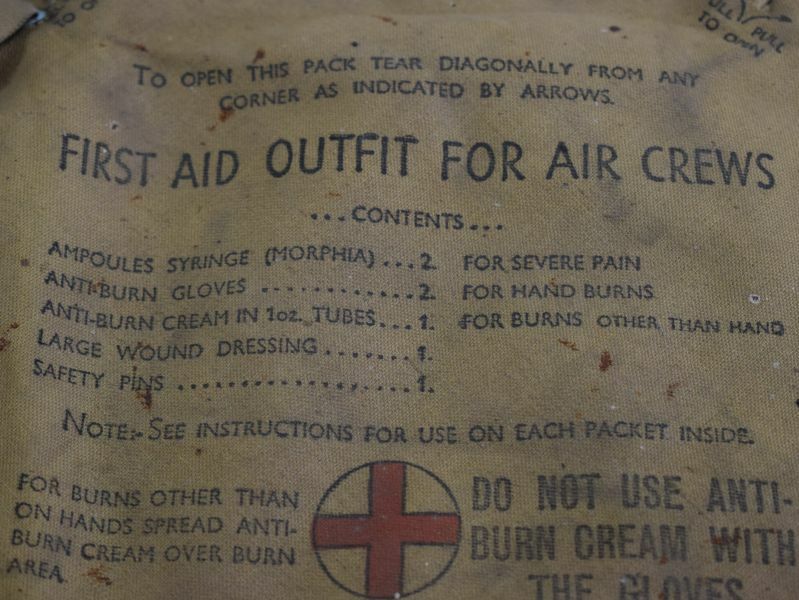 An original wartime RAF First Aid Outfit For Air Crews MKIII. 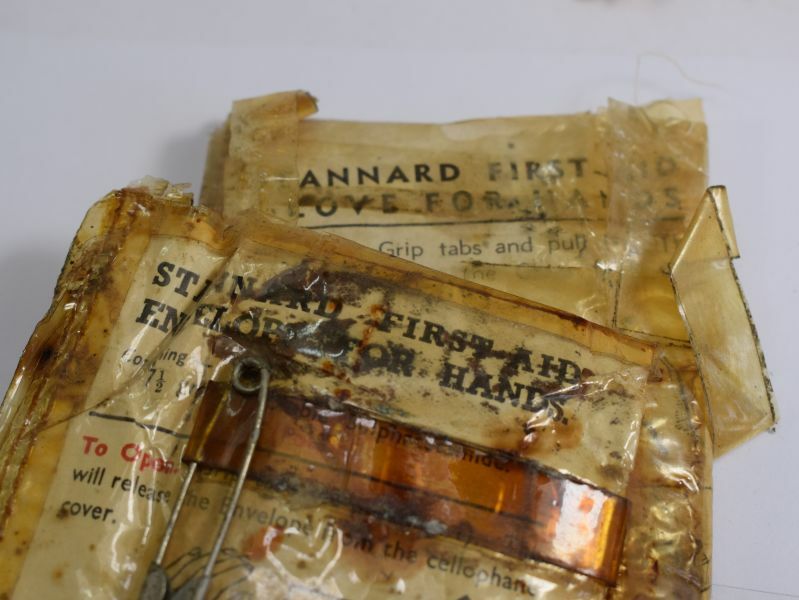 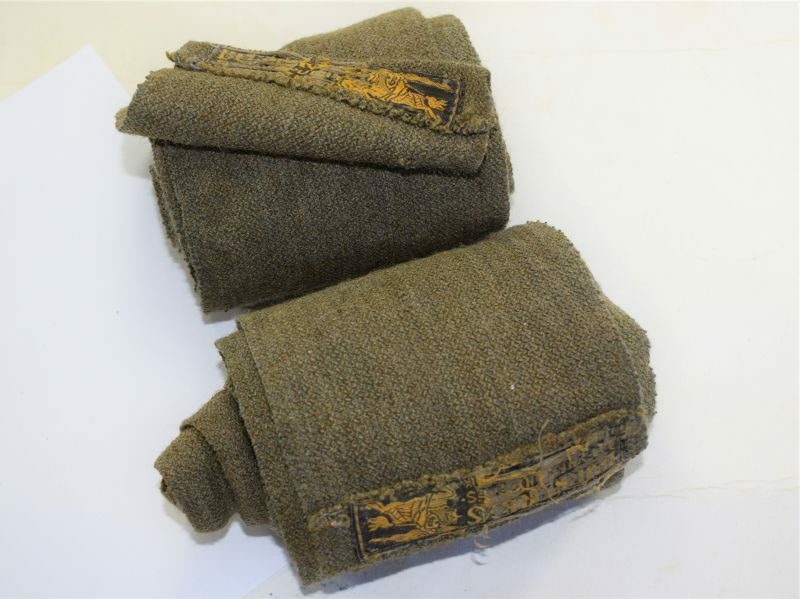 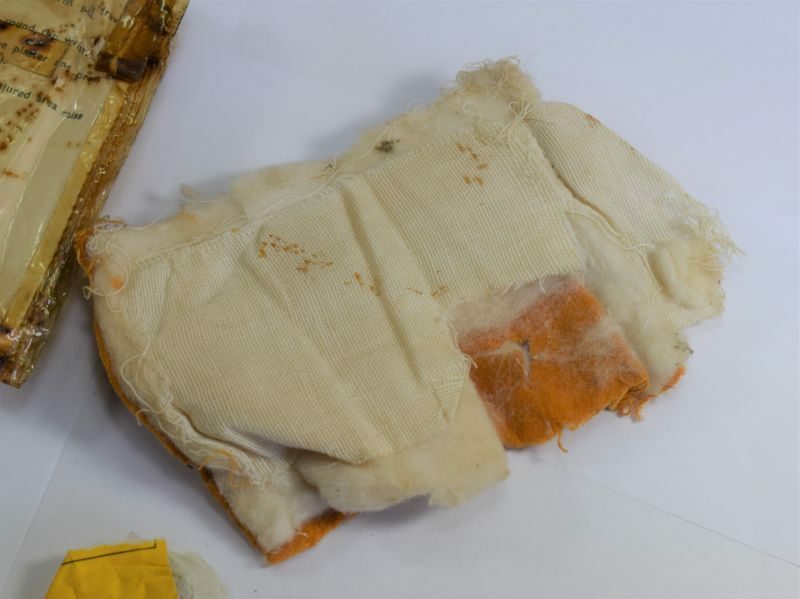 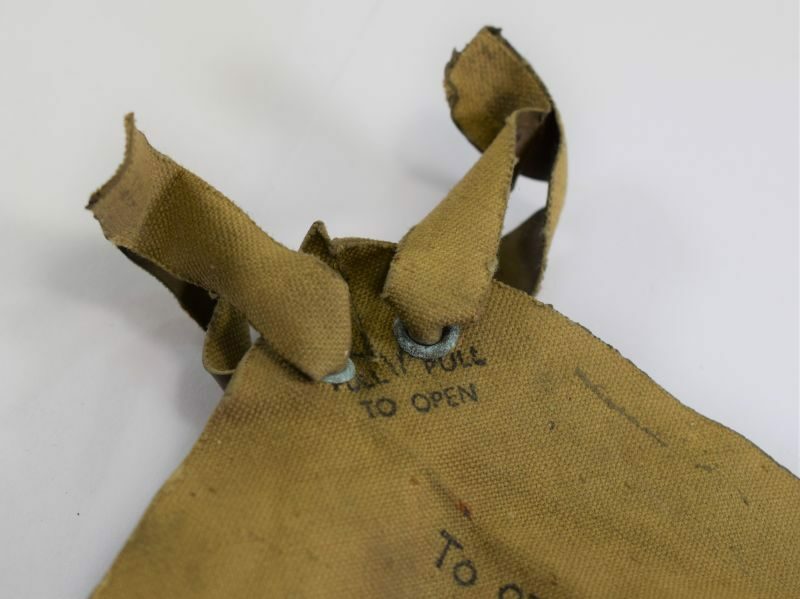 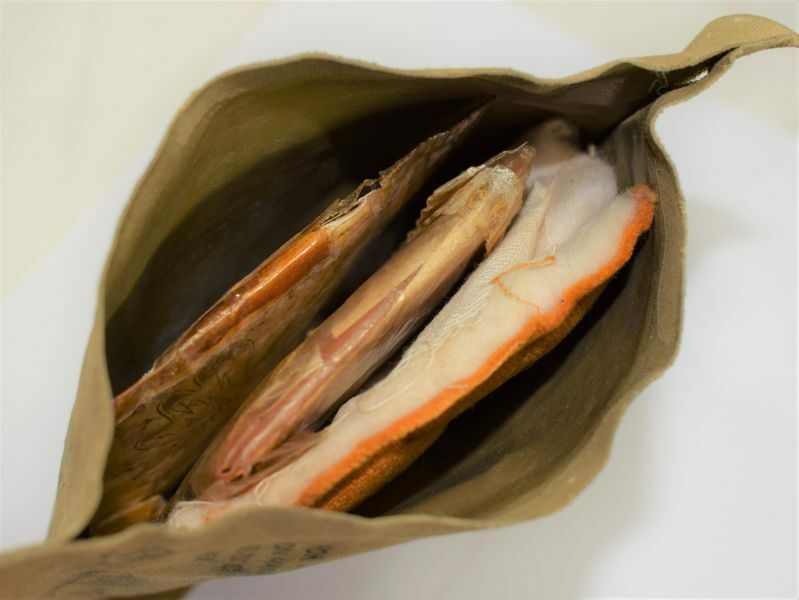 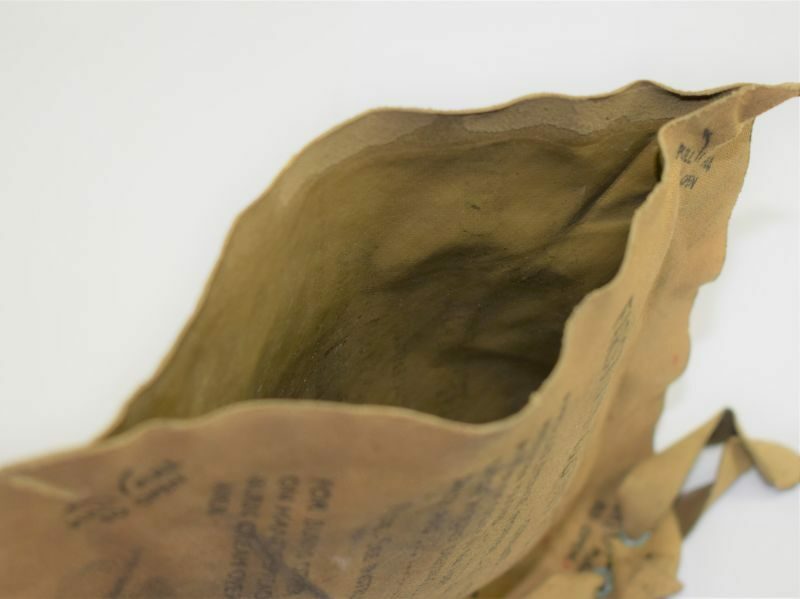 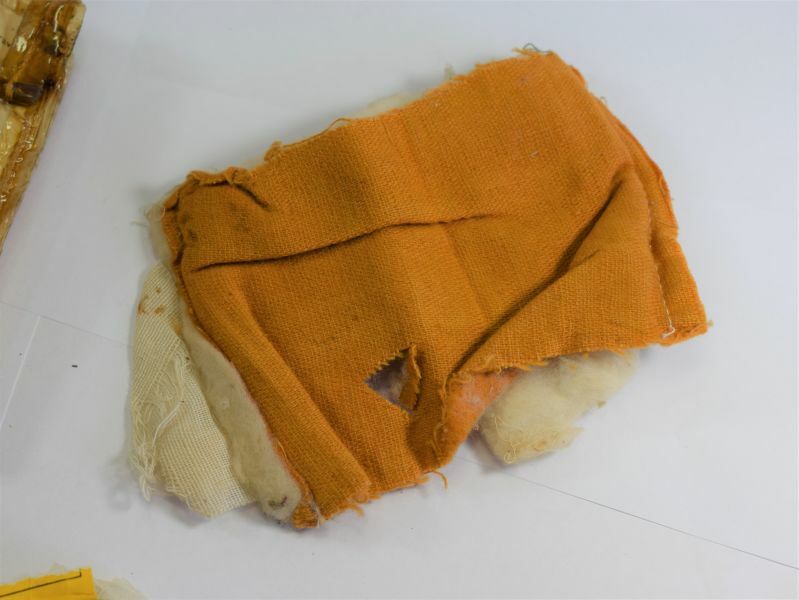 The pouch is in good order with the usual dirt and marks to the outside, luckily this has been opened carefully to one end by simply parting the seam so nothing has been cut or torn and could easily be glued back together without showing it has ever been opened. 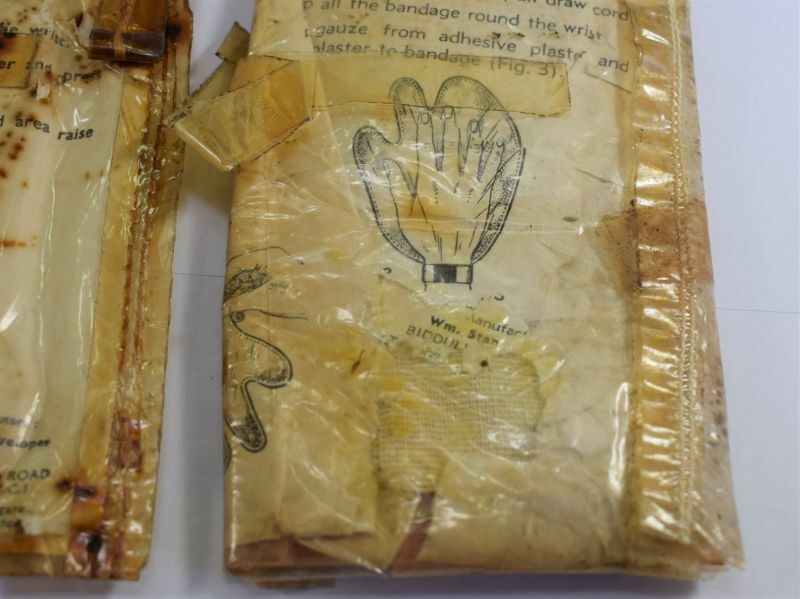 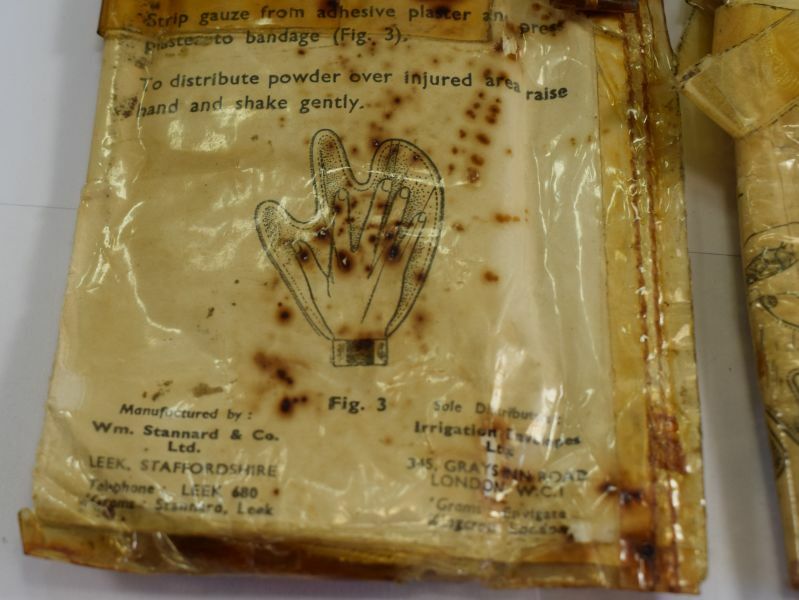 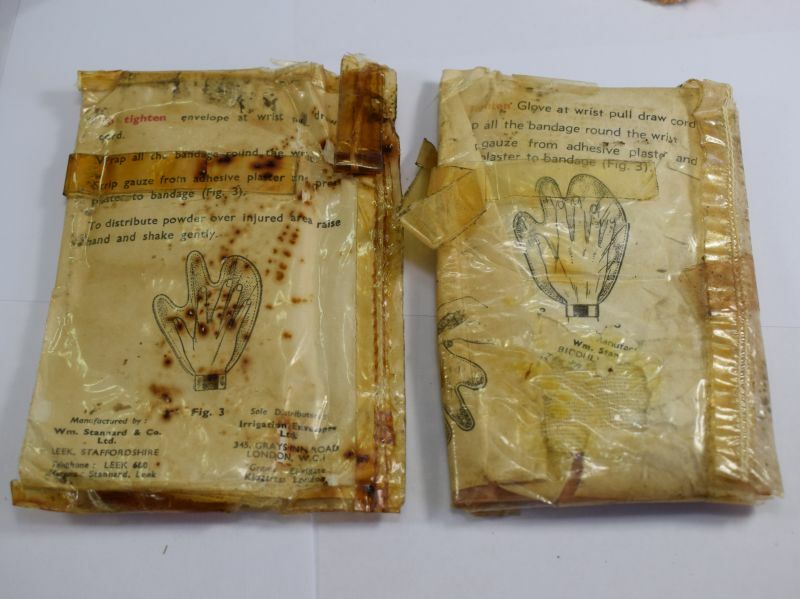 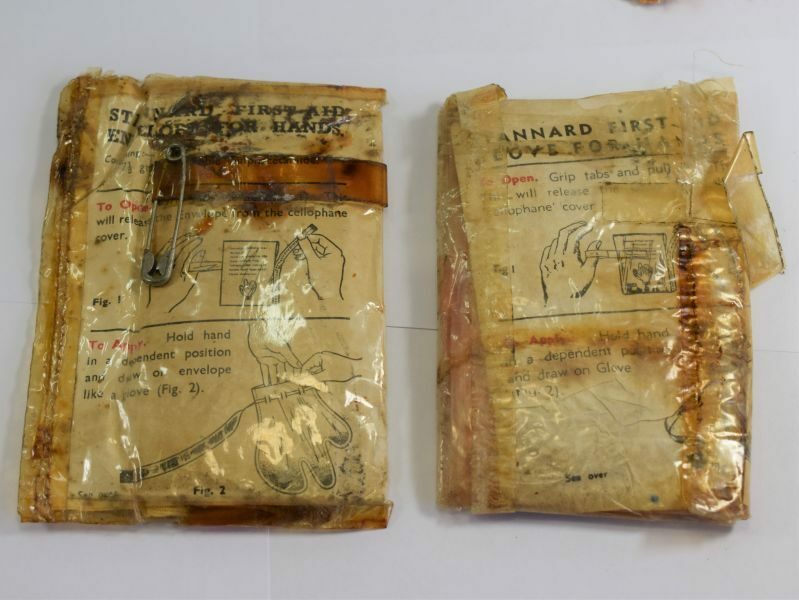 The contents left is 2 sealed packs containing anti-burn gloves, 1 safety pin and the remnants of a bandage, the gloves packaging is a little tatty but still all good and unopened.